On Monday, at the London premiere of Mamma Mia! 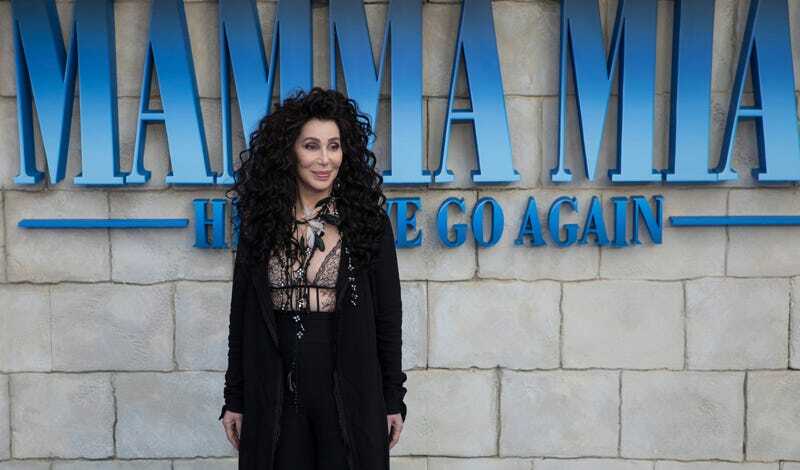 Here We Go Again, Cher, no stranger to outfits engineered at the highest levels of complexity and bedazzlement, experienced a bit of a wardrobe mishap. So she says, but really no one could tell. But none of this distracts from the fact that the bodysuit is extremely intricate, flattering, and hot. Lena Dunham has a new man and he is 100 percent a mystery. Nothing about him tells me anything about who he might be, probably because I do not know him. I keep trying to figure it out, but everything, even his socks (!) are a dead end. At the very least, pretty sure this isn’t Timothée Chalamet.